Color while you cleanse. 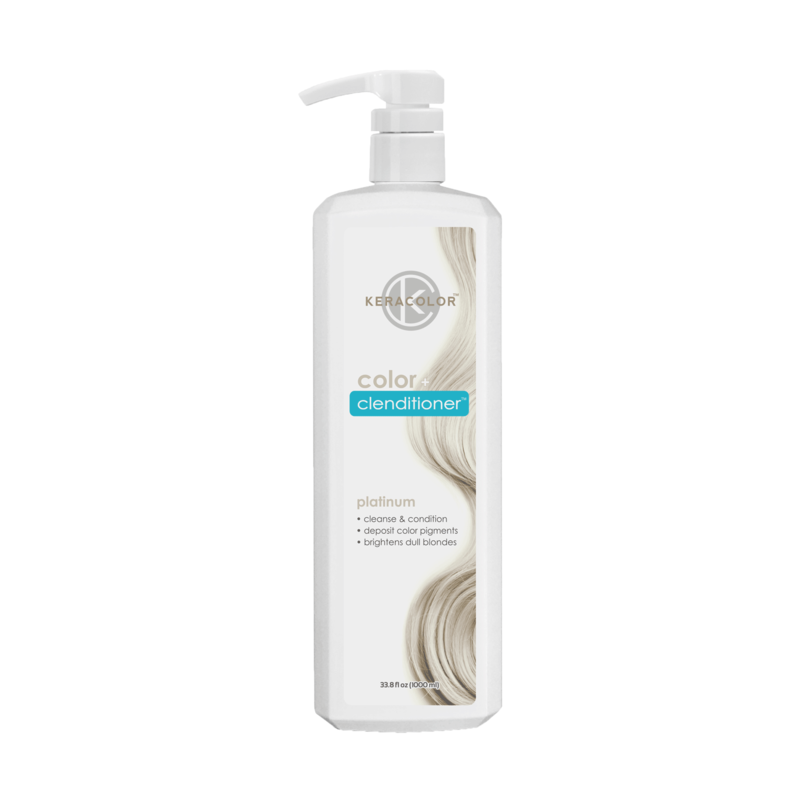 Keracolors Color + Clenditioner is a non-lather conditioning cleanser designed to gently cleanse & condition your hair while depositing color pigments to vibrantly color pre-lightened hair, or maintain hues between salon visits. - On completely wet hair, apply a generous amount of Color +Clenditioner. - If applying to whole head, use a comb from roots to ends to make sure product gets evenly distributed. - If applying to specific area, work through with fingers. - Leave on for 3-5 minutes, & rinse thoroughly. - For maximum intensity, do multiple applications until desired color is achieved. - To maintain achieved tone, alternate with Clenditioner. - To achieve bold hues, use on pre lightened blonde hair. - When used on brown hair, multiple applications may be needed to achieve the tone depending on the Color + Clenditioner chosen. - To achieve a pastel hue, mix 50/50 with Clenditioner. Color + Clenditioner is a keratin based cleansing conditioner designed to cleanse and condition the hair with a sulfate free formula that not only gives you a “squeaky” clean feel, it is also going to deposit semi-permanent direct dyes into the hair to get the most out of your colors.